When news came out that the IPhone was coming out with a new model, we had our hopes. And yet, it never came to pass. 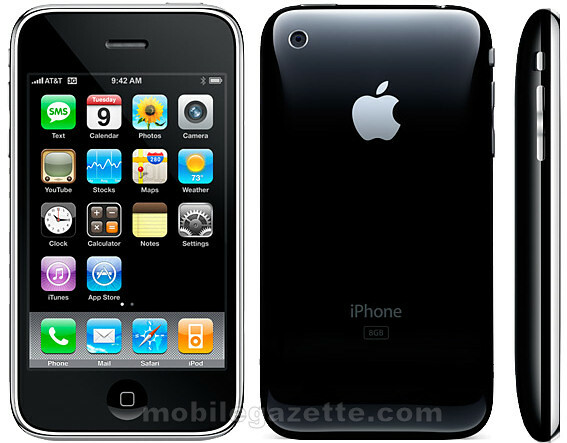 Before the IPhone 3G even reached stores, the complaints have already come based on demos and published specs. Again, Steve Jobs failed us all. Indeed it has 3G and GPS. But there were more that it was not. First, it was supposed to be cheaper. However, like I mentioned in my previous post, the total package was more expensive than it was worth. Second, the camera was still at 2 MP with no flash. Duh! Sony Ericsson came out with that model years ago. And yes Mr. Jobs, there will be 8 MP cellphone cameras coming out soon. Third, and probably the worst for me, the battery is irreplaceable. Like the IPod, it’s something you just throw away when the battery conks out in a year or 2. No versatility, no longevity. Fourth, and definitely unforgivable for most, there is no MMS. Even if it does have a full email client, you can’t view MMS sent by other cellphones. Compatibility is that bad. Those China clones have live TV. Where’s yours Steve? And what about the memory? It’s not even 32GB. And finally, there is no voice dialing. Yeah, I know . . . it’s not right that we use the phone while driving. I get it. Let’s correct that. I meant I’m not getting it. Better luck next time kids. Save up around $800 and maybe the IPhone we want will come out in another 2 years.